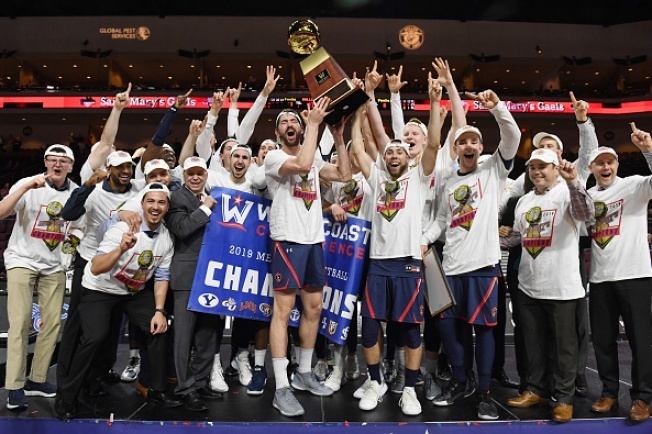 Saint Mary's College of Moraga is seeded 11th in the South Region and opens against sixth seeded Villanova at Hartford, Connecticut. The tournament will have a definite Northern California flavor as Mississippi State, Liberty, Virginia Tech, St. Louis, Wisconsin, Oregon, Kansas State and UC Irvine will all play their first-round games in San Jose. Start times for the games typically are announced late Sunday night by CBS, which broadcasts the entire tournament. No. 1 Duke vs. No. 16 NC Central/North Dakota St.
No. 5 Auburn vs. No. 12 New Mexico St.
No. 6 Iowa St. vs. No. 11 Ohio St.
No. 5 Marquette vs. No. 12 Murray St.